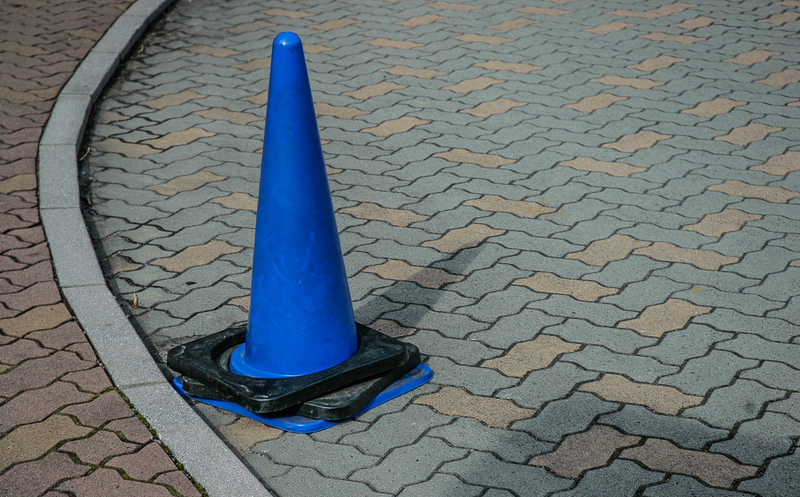 How I ever got started with traffic cones, I don’t know. But I’ve been photographing them for many years. 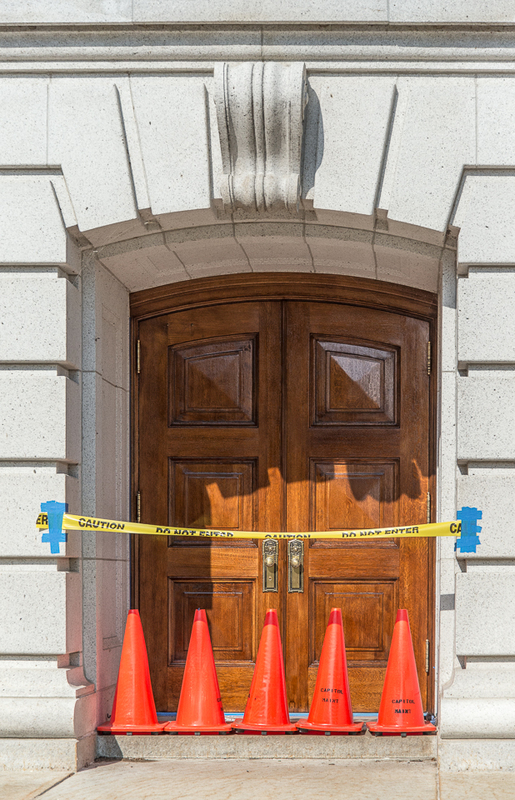 The first photo, below, just happens to have been taken last year outside the Wisconsin State Capitol, whose interior recently made an appearance on this blog. 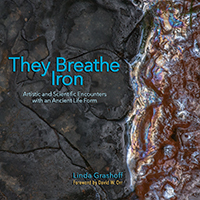 This entry was posted on October 14, 2018 by Linda Grashoff. 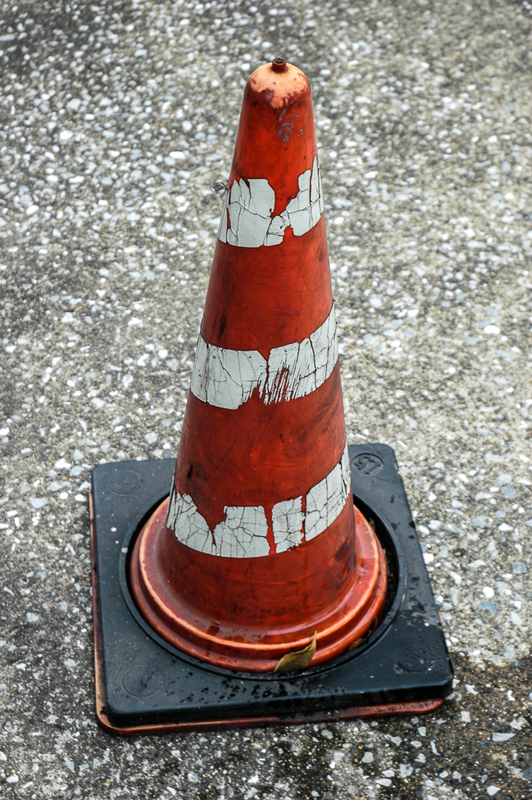 It was filed under Abstracts, Built Environment, Objects and was tagged with photography, traffic cone, Wisconsin State Capitol. 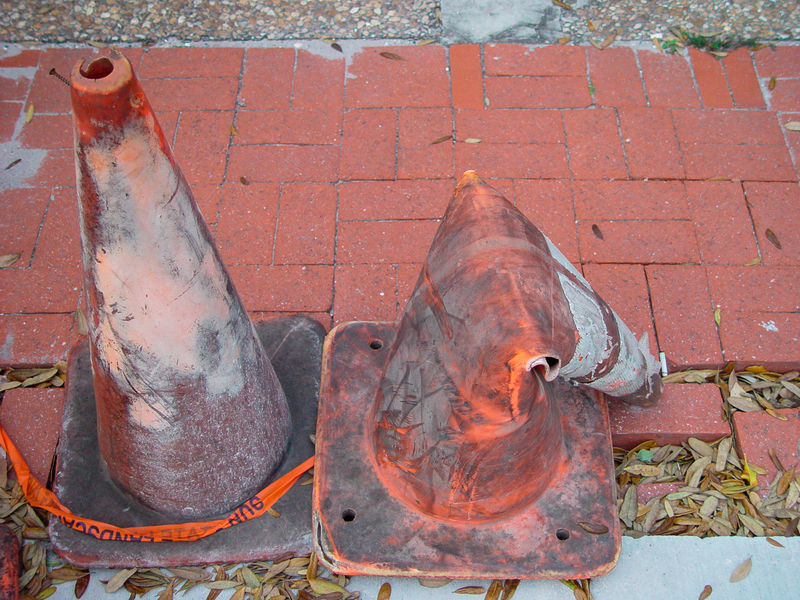 Thank you, Postcard Cafe, for your inventive alternative collective nouns for these cones. They’re really fun! You have a great Sunday, too. Love this series! 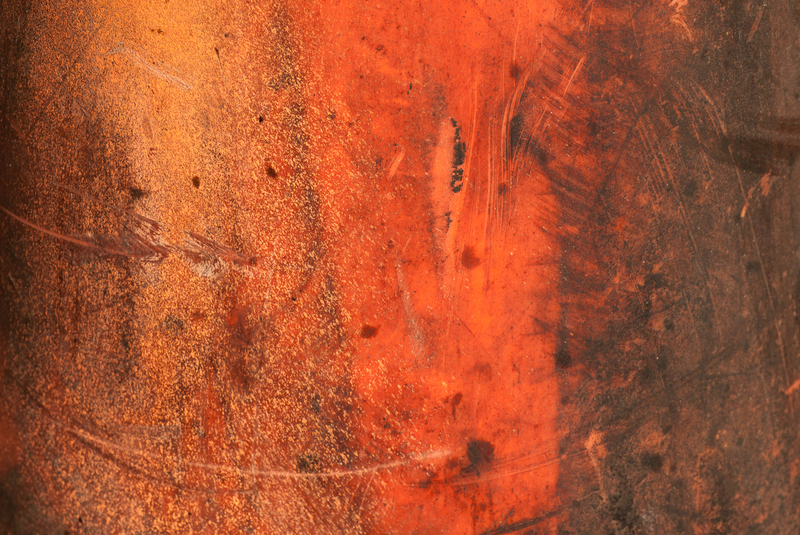 Great shapes, textures and contrasts. Each picture seems to be a narrative, telling us a story. I love the top image. Cleverly composed, humorous and a bit scary. Thanks, John. It does make you wonder. 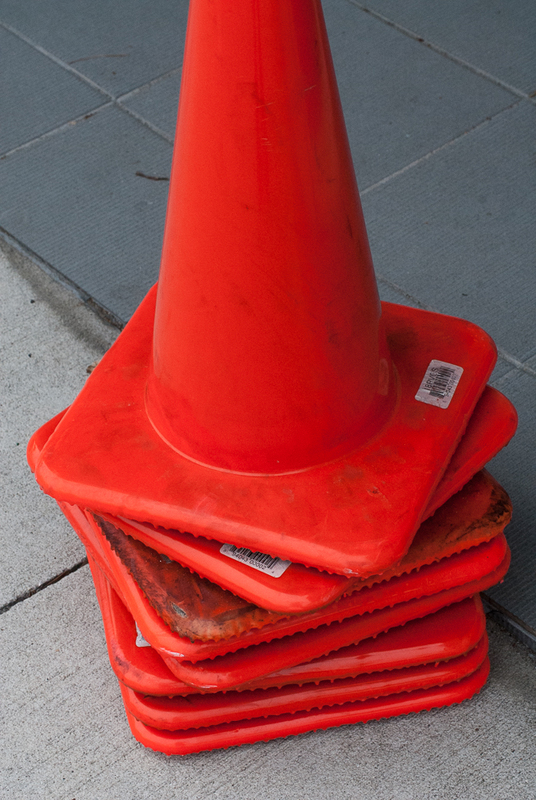 A wonderful collection of cones, Linda. I think this could be a great collection, similar to the fish bins or dumpsters. Keep at it. There’s source material everywhere. I have some pix of them myself somewhere in my archives. Thanks for the encouragement, Ken. Yeah, I can’t stop now. These are documenting the obvious, aren’t they. Glad you approve! Thank you, Adrian. Will try to find some more battered ones for you. And take more close-ups of them. Sure is! Thanks for commenting, Patricia. Thanks, Alan. Yes, it does have that dumpsterish look about it! Ah Linda, these are so much fun! 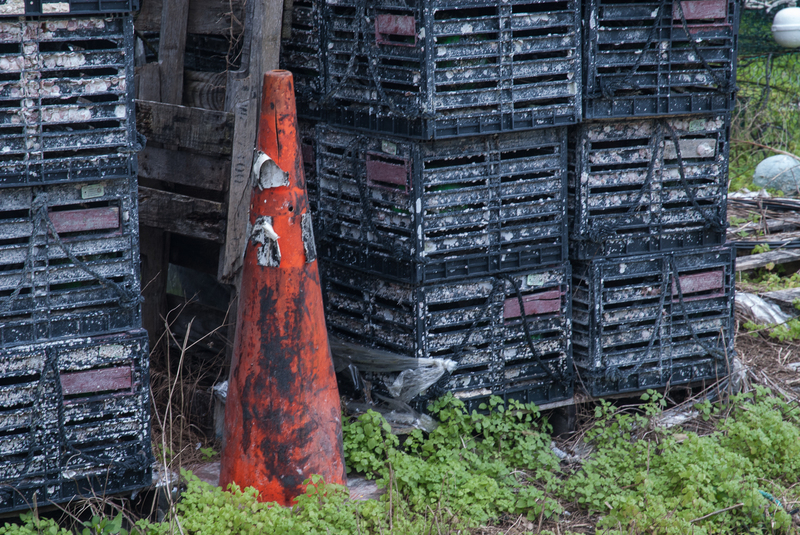 Who knew there was that much variety in traffic cones? The first photo is beautifully composed and processed – just right to get the message of the message across. Does that make sense? 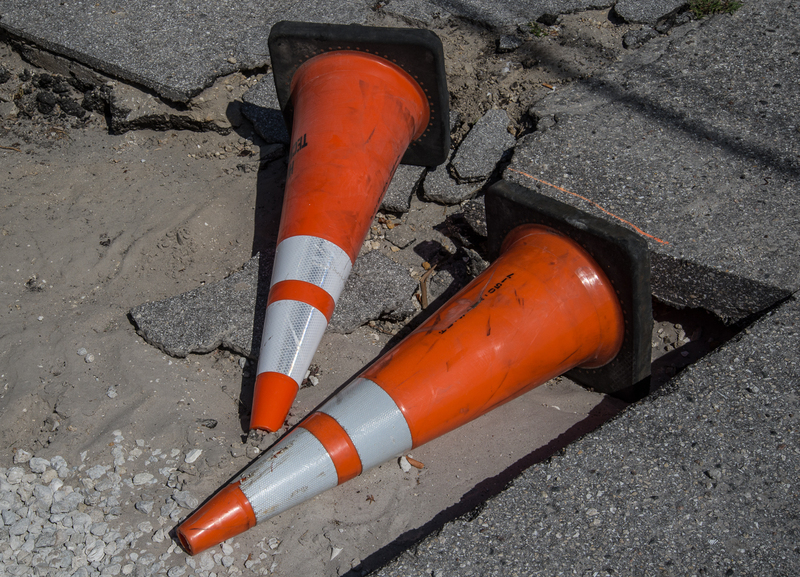 I like the dinged up surfaces of the 8th and 9th cones too – you’re so damn good at revealing each tiny surface imperfection, and reveling in it. The 10th is so sad. 😉 And the last is the perfect finale, since it ties these right in with the dumpster and fish bin photos. (I agree with you and Clare about these having more narrative than a lot of your other work). I like your “message of the message.” Not sure it makes sense, but I know what you mean. Thanks for all your kind and insightful comments, Lynn. 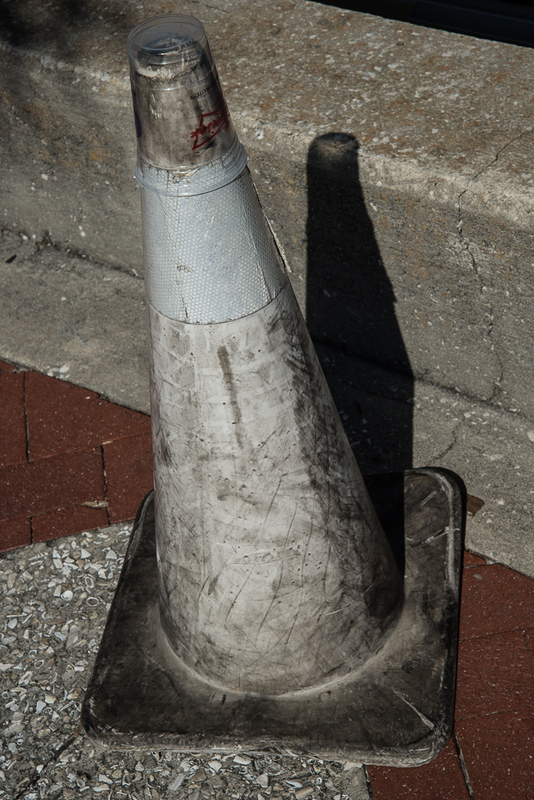 Have you encountered any other photographers who share your passion for traffic cones? Thanks for writing, Steve. 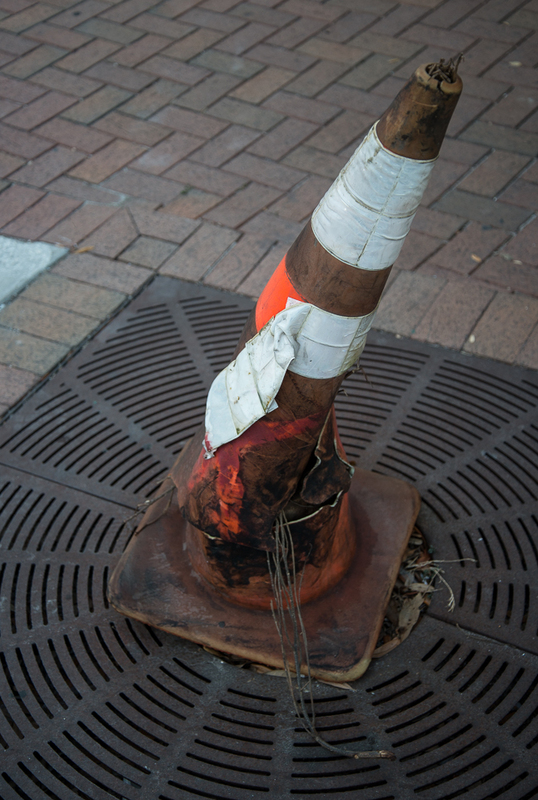 Peter, who blogs at Documenting the Obvious, posted this photo last week: https://dothob.wordpress.com/2018/10/15/trio/, and Ken, who blogs as One Owner, comments above that he has some traffic-cone photographs in his portfolio. 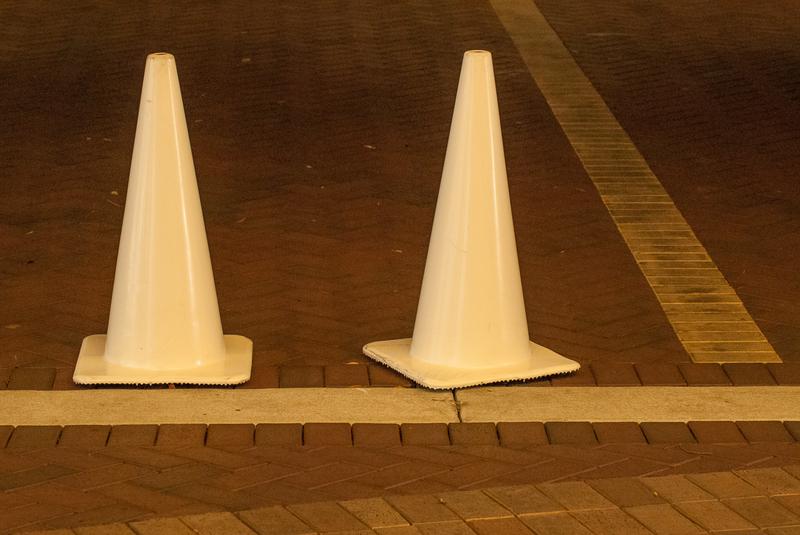 Even Postcard Café’s comment hints that they might photograph these cones, too. Have you found others? Thanks for the link and references. 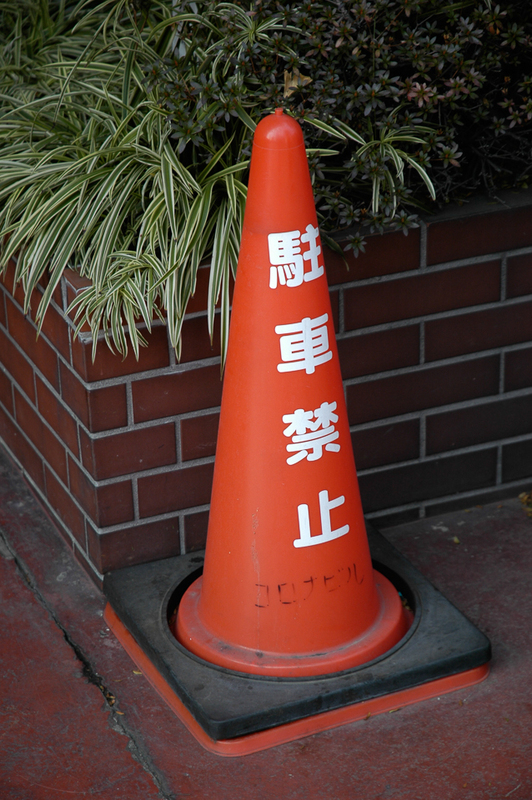 No, I can’t say I’ve come across anyone else with an attachment to traffic cones. What a wonderful project you’ve given yourself to create this unique, ongoing series! Thank you, Denise. It’s been fun—and will continue to be.